Press Release - In the light of the victory won against Islamic rebel fighters in Marawi and the recent extension of the Martial Law in the city for another year, Vivo Philippines has been extending their support in more ways than one. Just in time for Christmas, the 5th biggest global smartphone brand launched a special Christmas video in honor of the brave soldiers who risked their lives in the conflict in Marawi. The touching video, which captured the hearts of many, depicts a touching story of a widow, her children, and a husband and father they lost in the Marawi conflict and the people who reached out to them to return the priceless favor. Likewise, other Vivo brand endorsers showed their unwavering support to the Marawi troops by offering them a salute. Poster on their respective social media accounts, the Vivo brand endorsers relayed their respective messages of gratitude to those who courageous peace-keepers. Daniel Padilla, in his post of support, said, “This Christmas, I would like to extend my #SelfieSalute to all the brave soldiers who fought for our freedom.” Soul singer Julie Anne San Jose also posted her own selfie salute for the Marawi soldiers. 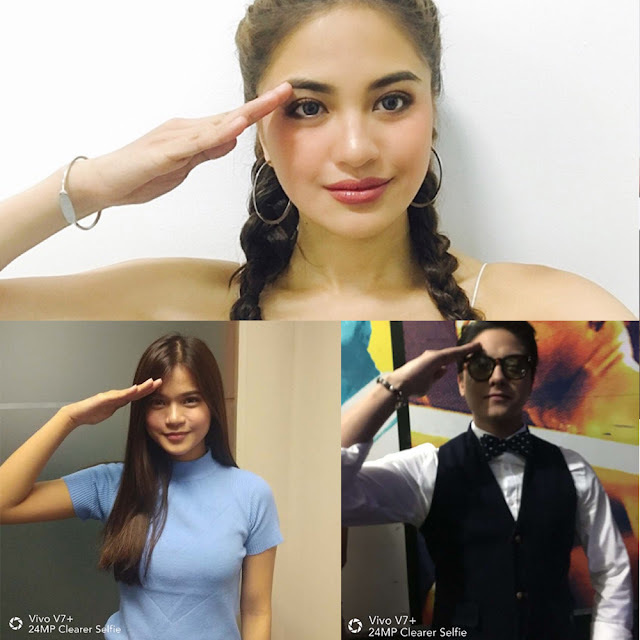 On the post, she said, “I am sending my #SelfieSalute to our brave soldiers who fought for our freedom and peace!” Other Vivo brand endorsers Sue Ramirez, Jason Dy, love team Inigo Pascual and Maris Racal also poster their own selfie salute in support. All of the influencers made sure to also encourage their fans to also post their own selfie salute as a sign of support to the soldiers. Thanks to the call for support by the key influencers of Vivo, hundreds of fans shared their own selfie salute which was shared to the soldiers during Vivo Philippines’ Marawi soldiers outreach affair at the AFP hospital.